Olympia Coffee Roasting Co. is Feeling the Cool! We recently installed a new Ductless Heat Pump at Olympia Coffee Roaster’s on Olympia’s west side and they are now keeping comfy and cool during the current heat wave this summer! 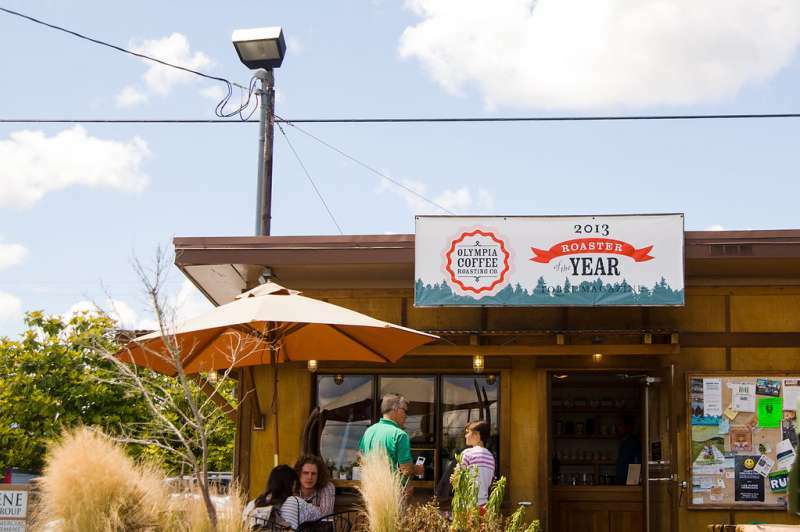 If you have not heard of them,Olympia Coffee Roasting Company is a fantastic, growing local business with three locations in Olympia and the recipient of numerous awards and much critical acclaim in the coffee world. They seek out the best coffee farmers in the world and roast their beans by hand daily. They are devoted to absolute freshness and their baristas undergo intensive training so their love of coffee comes through with every single cup that is brewed. In addition to the fabulous coffee, they are now the proud owners of a Fujitsu 9RLS3 Ductless Heat Pump and will not only stay cool this summer but will also be nice and warm when the temperatures cool down this winter! This was such a fun project to be a part of and we are so glad to know the employees are more comfortable in their building. We hope you will go check it out and enjoy some awesome coffee goodness. And if you are interested in a Ductless Heat Pump for your business, contact us for more information. We would love to come out and give you a free estimate.